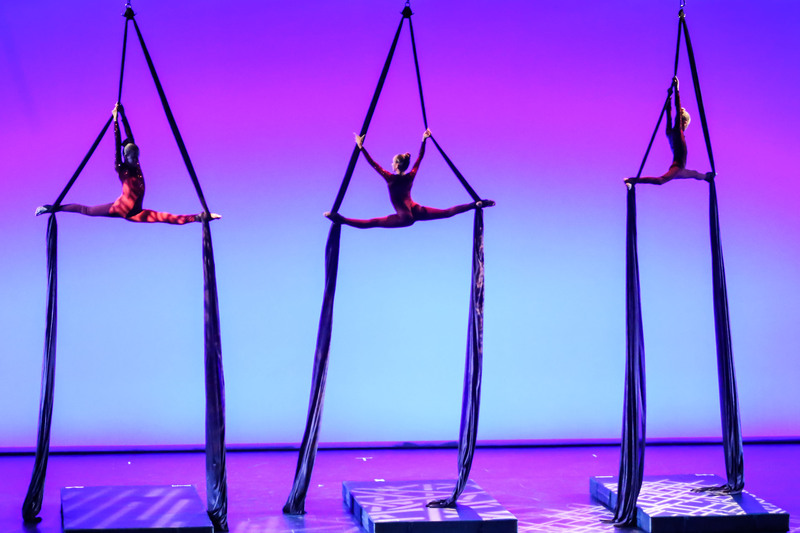 Elite is now offering an Aerial Arts Program! 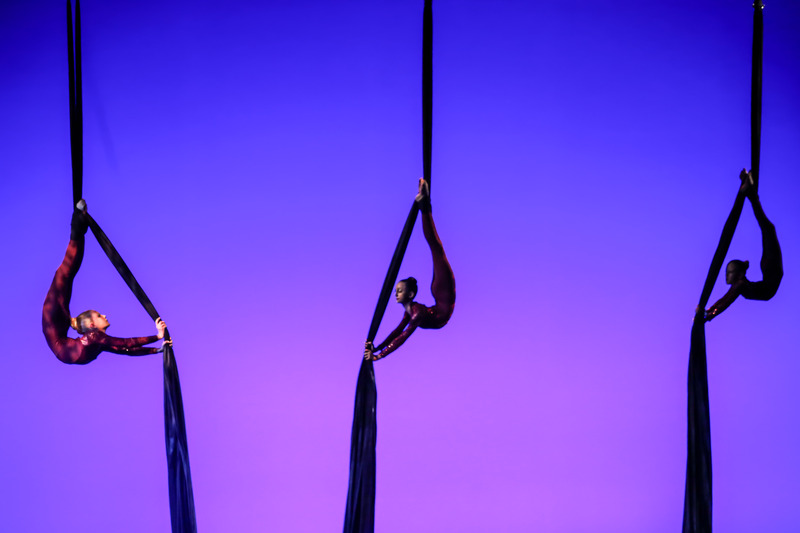 Aerial Silks is a beautiful, creative, and challenging art form made popular by Cirque Du Soleil. It builds unparalleled core and upper body strength, coordination, and confidence. Students learn to climb, wrap, twist, contort and drop in a variety of positions from suspended silks. Anyone with determination and a great work ethic can progress quickly. Classes are leveled based on skills attained. If you’re not certain what the level of your dancer is, you’re welcome to call the studio to set up an assessment. Level 1: Beginner – no experience necessary. Level 2 Requirements: Climbing, Single foot lock, Candy Cane, Double foot locks, Foot lock in the air. Level 3 Requirements: Climbing, Ability to comfortably invert in the air, Egg beaters, Foot lock(s) in the air, Hip key, X back. Level 4 Requirements: 8 Straddles in the air with straight legs, Double Star, Straddle climb, Double ankle hang, Hip key.